Imagine being part of the BBC’s natural history unit, traveling the world to create some of the world’s most beautiful documentaries. Sounds like a dream job, right? I sat down with Huw Cordey, the producer on a ton of the Beeb’s best-loved shows, to find out more about the technology and gadgets the team deploys to capture the beasties in action. Coming up with innovative things is kind of his thing. For the most recent show Cordey worked on — BBC’s The Hunt, which is currently showing on BBC America — the concept was to try to capture how animals hunt in the wild. Which isn’t that tricky if you’re trying to film a spider rolling up a fly into a little ball, perhaps, but it’s a very different kettle of orcas when you’re talking about large animals careening along the savannah at 55 mph. Is that a Cineflex on the side of your Land Cruiser, or are you just happy to see me? 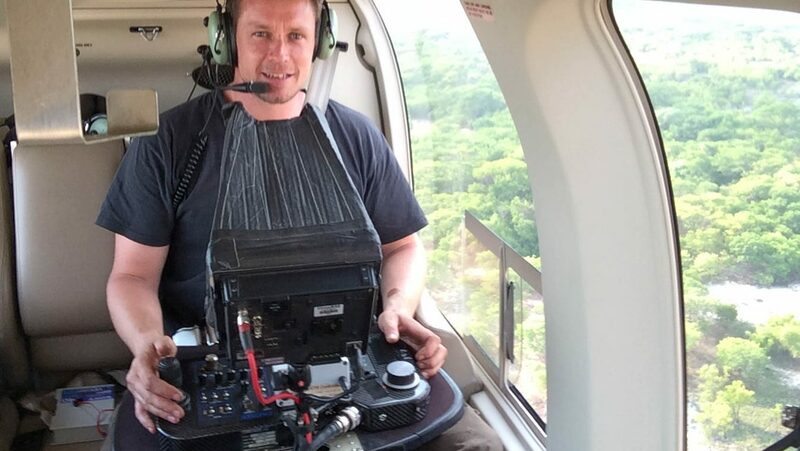 “My favorite piece of equipment we used on this series were the Cineflex gyroscopic mounts,” Cordey says, referring to the super-stabilized, basketball-sized, 85-pound mounts usually attached to helicopters. Yes, helicopters. If that sounds a little bit James Bond, and you’re getting all sorts of action sequence emotions tingling your spidey senses, check out the video below. It’s pretty epic. Of course, the team did use the Cineflex mounts as intended — strapped to the side of a helicopter — but they also used the camera extensively in other situations. Well polar bears don’t film themselves, you know! 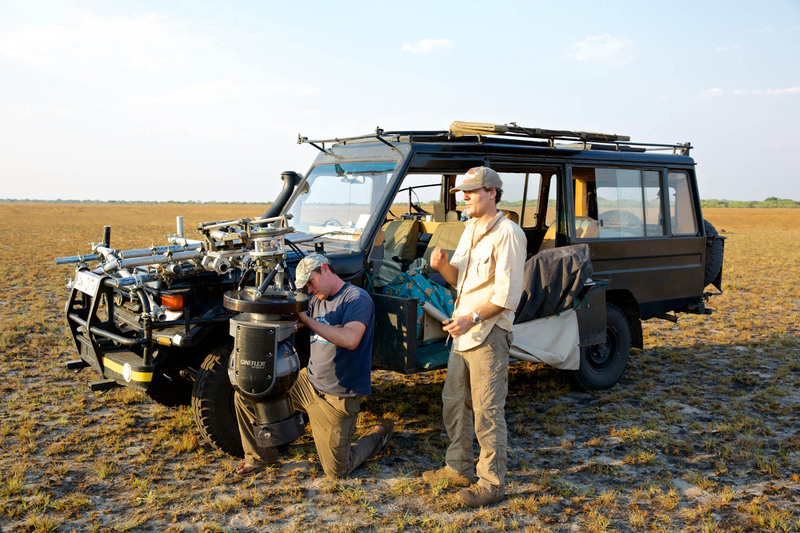 “We were able to mount the camera on a truck and follow the animals as they were hunting,” says Cordey. He explains that the team did have to be a bit more careful than usual; altogether, the gear they tied to the truck costs around half a million dollars. 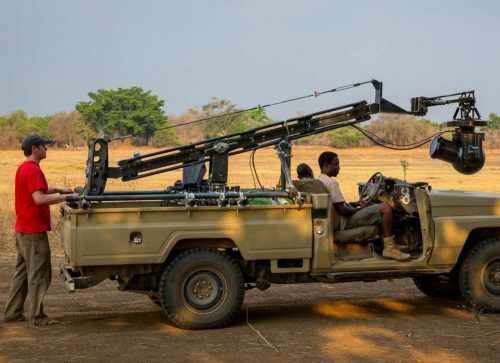 Filming in this manner also meant that the team was able to film a full hunt “for real,” rather than doing it the way it had been done in the past. Which… used to work out pretty much exactly the way you’d imagine. In some nature documentaries, you might notice that the animal that is caught in the end looks slightly different or is a bit bigger or smaller than the animal at the start of the sequence. Of course, that is because they filmed different hunts, often on completely different days and in different locations. Because why wouldn’t you attach a stabilization mount designed for helicopters to the biggest land animal in the world? 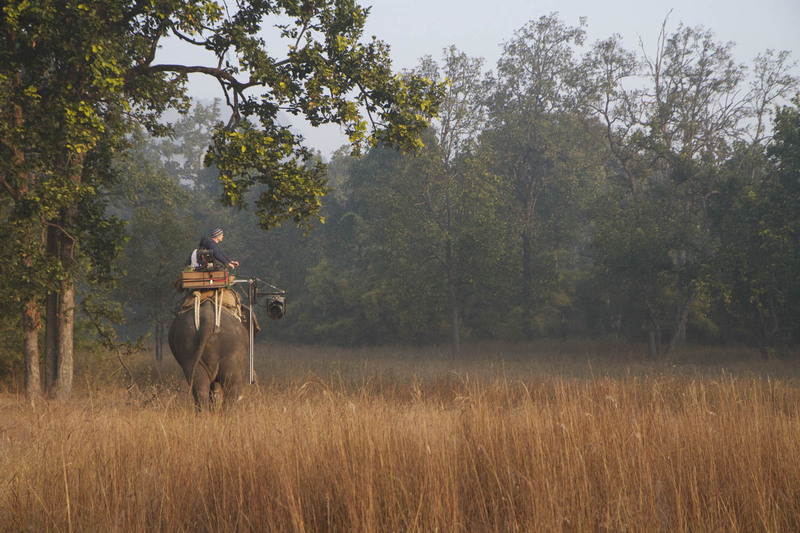 One innovation was to build a mount enabling the team to film… from an elephant. Which is every bit as bonkers as it sounds, but it isn’t completely “just because we can” — it turns out that it’s the perfect way to film tigers, because unlike drones, helicopters and juicy camera-men, tigers basically ignore elephants. 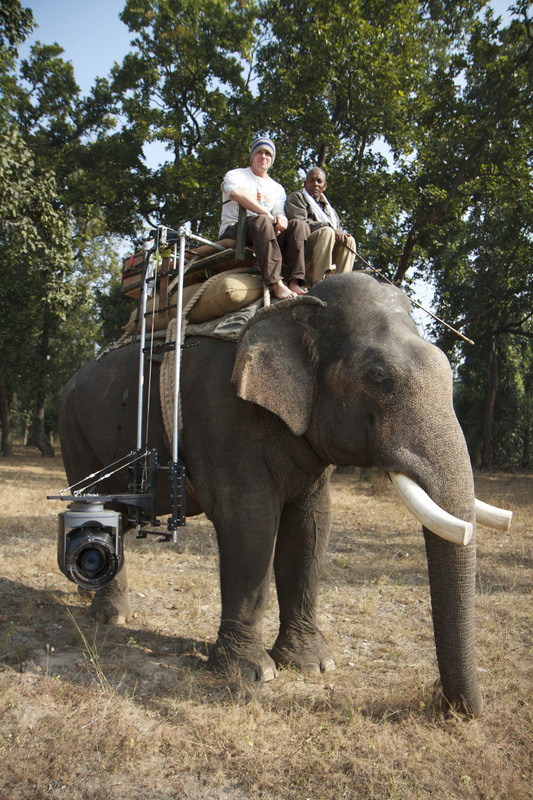 In the above video, the team explains how they came up with the idea of creating an elephant-mounted camera. 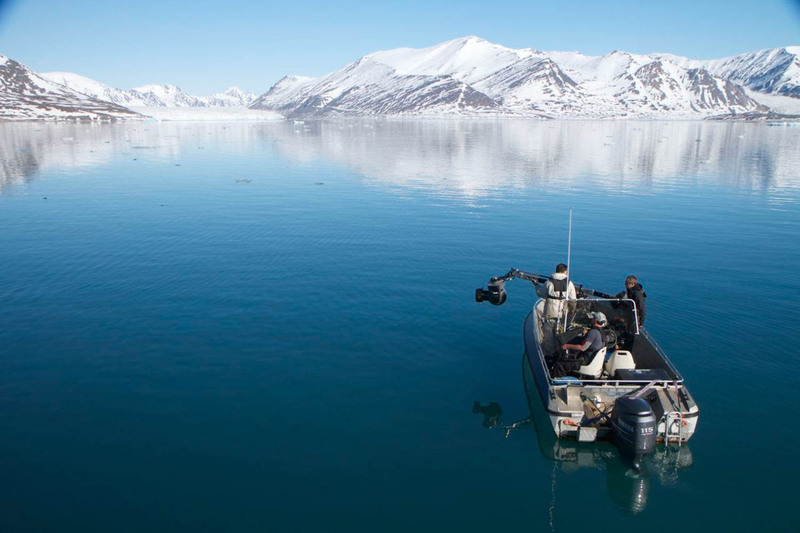 “Being able to film continuously through the hunt is a complete game-changer for us,” Cordey admits, with more than just a little bit of awe in his voice. This, I can tell, is bloody exciting, even for the 20-year veteran of nature documentaries. “We had an amazing camera man, Jamie McPherson. He’s really taken to all of the tech, and I had to laugh one night after a shoot, when he pointed out that all the hours playing on his PlayStation finally paid off,” Cordey says, but looking into the tech more closely makes it clear that he’s only partially joking. Operating a Cineflex is an awful lot like playing a video game. Instead of throwing a camera on your shoulder, you have a screen and a remote control, meaning a slightly different skill set is needed to operate the new kit. An awful lot like playing PlayStation… if your PlayStation cost half a million dollars. New technology is a key aspect of the series, enabling whole new aspects of storytelling. “I love drones; we use them all the time,” Cordey explains, pointing out that the the Panasonic GH4 is a particular favorite. It weighs very little, but the quality is good enough for use in broadcast, which means it is perfect for sending up with a drone. Despite their shortcomings, drones are a favorite and the team often carries drones, launching them whenever they’re needed, rather than getting out a jib arm or calling in a helicopter. The other big change over the last 20 years is how good prosumer equipment has become. In the past, you needed specialized equipment in order to shoot in high def for television. The team does obviously still use high-end equipment a lot of the time, but commercially available equipment makes it much easier and cheaper to shoot shows today. If you haven’t seen what Sony’s α7s can do in low light, check out the above short film, shot exclusively by moonlight. If that’s not impressive to you, perhaps it’s time to go for a walk, you’ve been on the internet for too long. “Ultimately, you can’t say that a $2,000 camera delivers the same quality as a $50,000 camera, but it’s horses for courses. If we can use more affordable cameras, that’s fantastic,” Cordey explains. Another big advantage is the availability of camera traps — much like the ones offered commercially by Camptraptions, where the team has built its own gear, powered by a bank of batteries. “Being able to leave a camera out for months at a time makes it possible to capture scenes that we wouldn’t have been able to otherwise. For very rare animals like leopards, it’s the best way,” says Cordey. Makes sense; leaving a $50,000 camera and a very expensive camera man in the forest for a few months gets very expensive very quickly, but it’s worth taking the risk with a couple of grand’s worth of equipment on the off-chance that you capture a shot worthy of using in the series. The past 20 years have seen a huge leap of technology and the natural history unit veteran reflects on what has changed. “Twenty years ago, you couldn’t film at night without lights and helicopters needed to get within 50 meters of the animals,” Cordey explains. That’s a problem: nocturnal animals shy away from light and you can imagine what happens if you’re casually grazing along, minding your own business when suddenly a 10,000-pound inferno of sound, wind and scary starts following you around. A lot of the best new tech has come from both commercial outfit and military applications. There have got to be easier ways of taking a selfie. Security technologies have come in handy more than once, too. Not every problem has been fully solved. Camera equipment manufacturers, if you’re paying attention, here’s how to make your next generation of sales. Other tech where the BBC is butting against the edges of what’s technically possible is filming at night. A lot of nocturnal animals haven’t been properly documented and I got the very distinct sense that Huw Cordey and his team would love to do a whole series focusing exclusively on those that only come out at night. “Give me a gyro-stabilized long-lens camera on a silent drone and you’ve hit the jackpot,” Cordey laughs. If you want to see The Hunt in full, tune in to BBC America, Sundays at 9/8c.